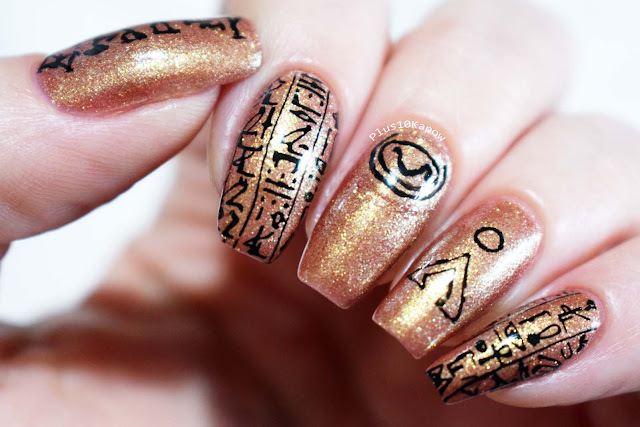 My thumb, index and ring fingers were all freehand and the hieroglyphics nails were stamped using Messy Manison MM32, the same plate I used in my original mani. 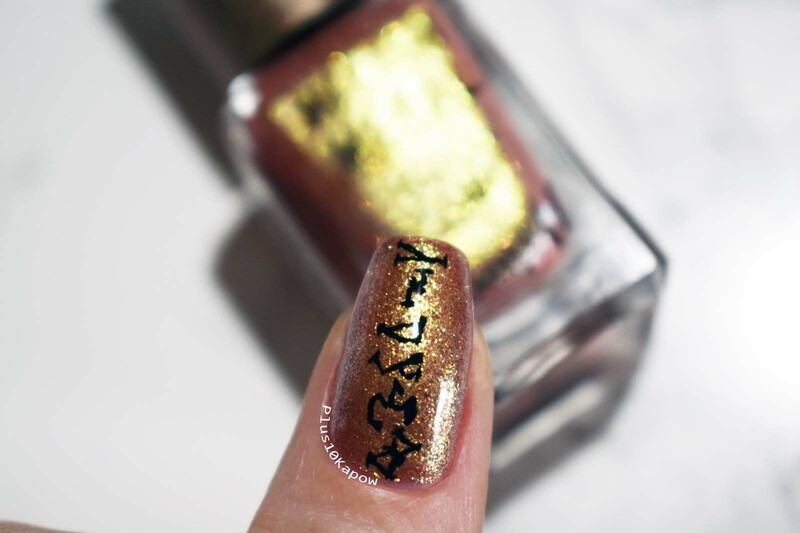 On my thumb, I did my best tiny writing and attempted the address for Abydos, it's not perfect but I am pretty impressed to be honest. This is definitely my favourite mani so far this year! 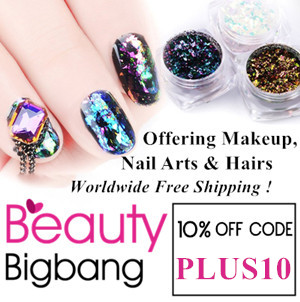 It's pretty simple but you all know I love Stargate so it's pretty easy for me to be in love with this mani. 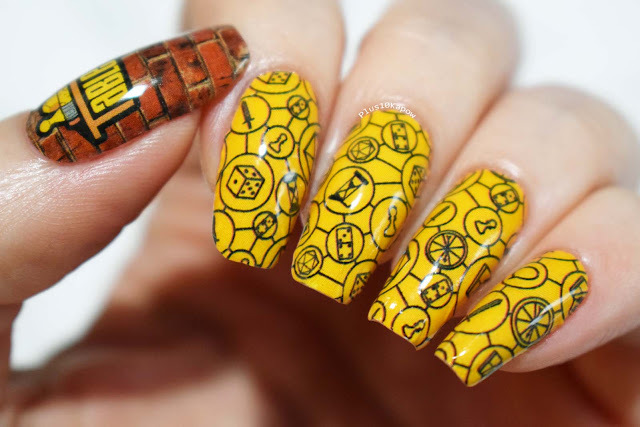 I am definitely nailing it (in my opinion) with the nerdy/fandom nail art so far this year, here's hoping I can keep it up! 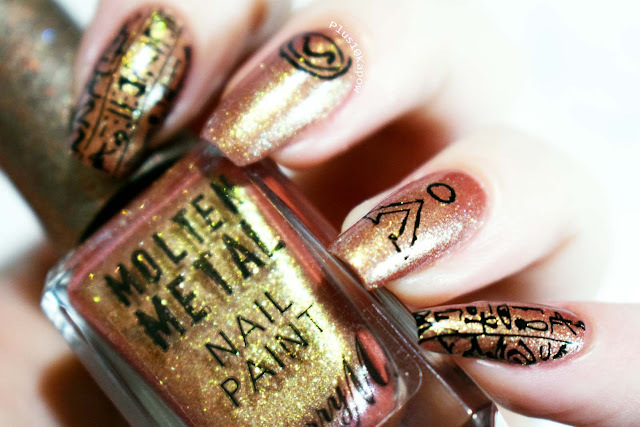 The new Barry M Molten Metals are available from BarryM.com and from Superdrug instore and online.